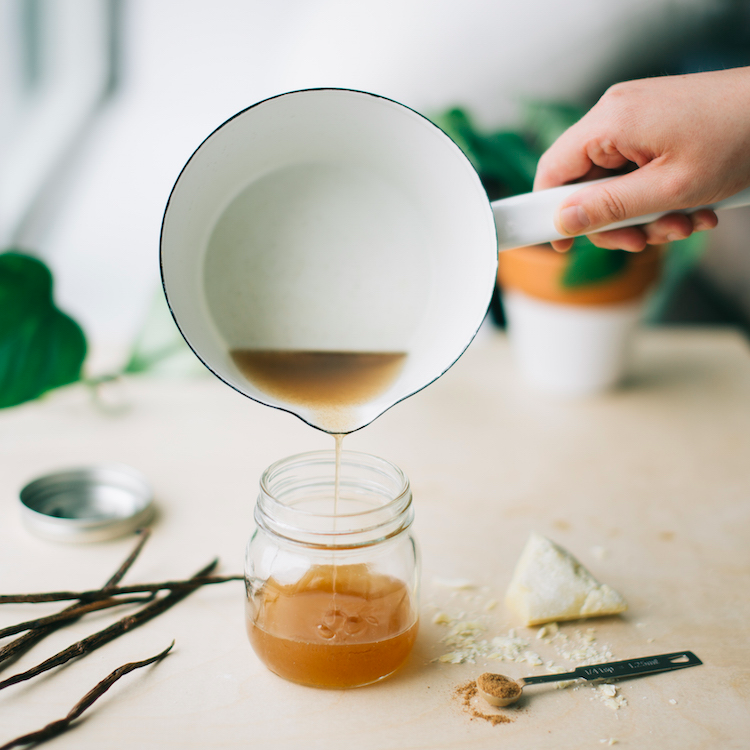 Plant-based beauty expert Graydon Moffat (founder of Toronto-based natural skincare line Graydon Clinical Luxury) shares one of her favourite, ultra-moisturizing DIY skincare recipes. Long before I even dreamed of developing my product line I was living in Santa Monica, having recently graduated from art school. I was immersed in practicing yoga, running a macro home delivery business, working part-time in the now-famous Real Food Daily restaurant and showing my work in some local galleries. It was a wonderful time in my life (before moving back to Toronto, getting a “real” job in the corporate world and having a family). But those days in LA were also challenging – trying to live and support myself without a work visa was not the easiest, so I chose to live rather simply.